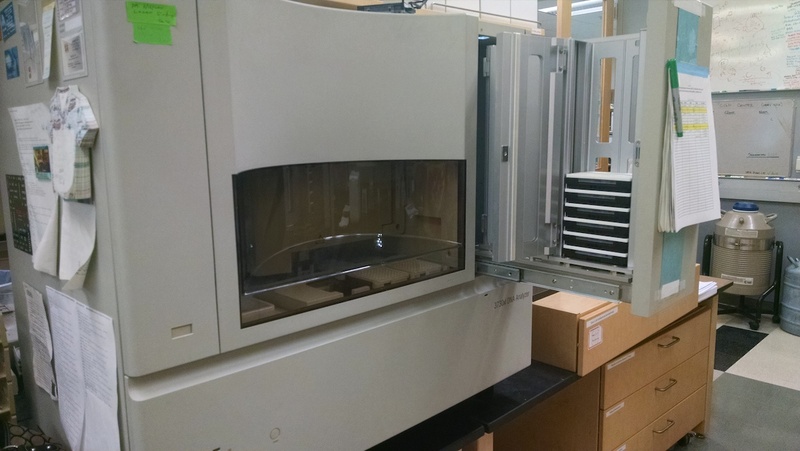 I got the email from FedEx saying that our package of four plates of 384 PCR samples had arrived at the University of Arizona, where they will be sequenced. These plates contain the DNA from multiple genes from over 120 Trepanedoris that we have not sequenced before; the data we get back will tell us a huge amount about Trepanedoris diversity for our Discovering Insect Diversity class. 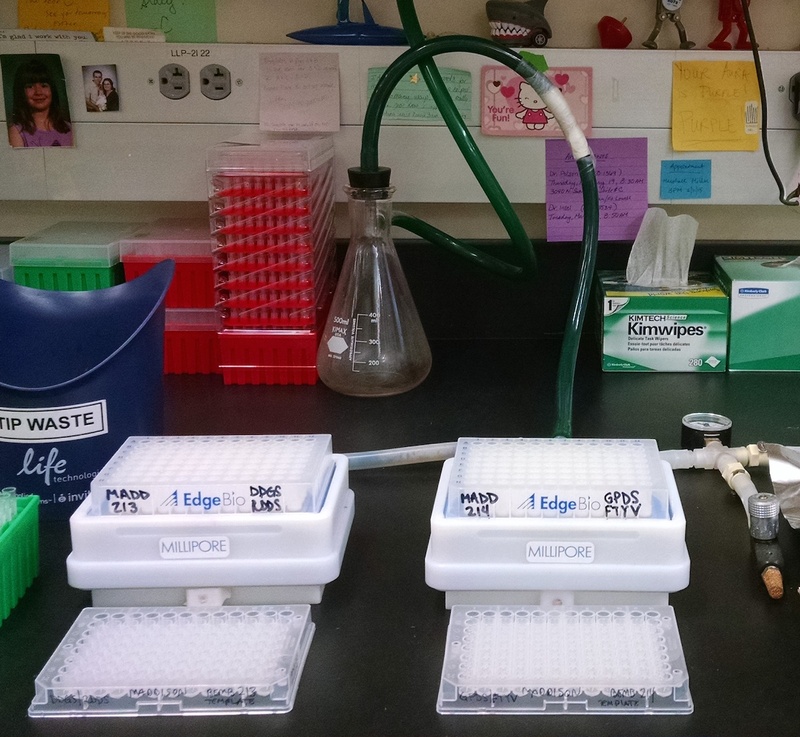 We send all of our PCR samples to the University of Arizona Genetics Core to be sequenced. They are relatively inexpensive, and do a great job. 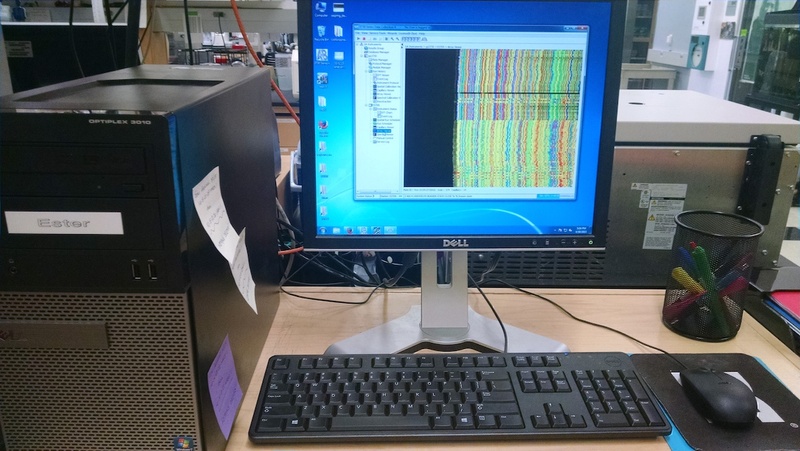 In particular Stacy Sotak has been terrific, and has helped us over the years with all of my Sanger sequencing needs. In the rare times that there have been problems, Stacy has really worked well with us to help troubleshoot. I worked with Stacy for some of my time at the University of Arizona, and since I moved to Oregon State University she has continued to be a fantastic (if now more distant) help to our research. 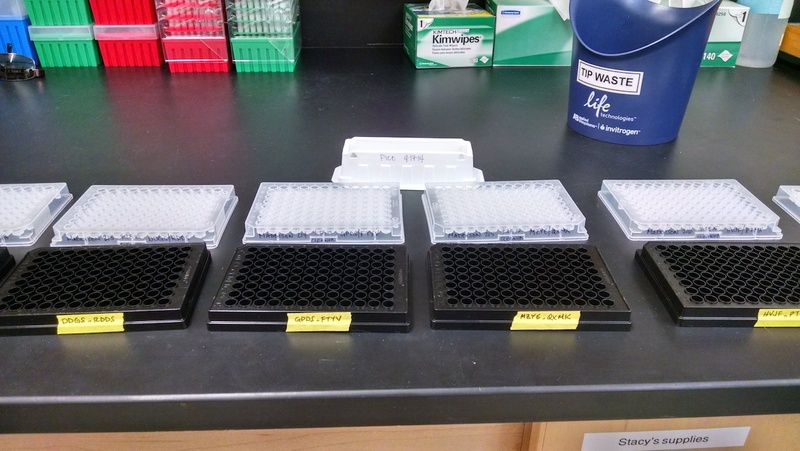 I asked Stacy if she could take pictures of the processing of this set of four plates, so that the class could see how the magic happens of going from PCR product to DNA sequences. I’m excited to see some of the equipment used, as I haven’t actually ever seen it myself. The plates arrived in good shape to the U of A; here they are coming out of the shipping box! After cleaning, the amount of DNA in each of the 96 wells of each plate was then quantified. I looked over the details, and they all seem to have a good amount of DNA in them, which is excellent! The instrument is open, and on the right you can see six of the eight plates loaded into it. You might wonder why there are eight plates rather than four – after all, there are only four plates of PCR products. We sequence each sample twice (once in one direction, once in the other direction) so that we can confirm the results. 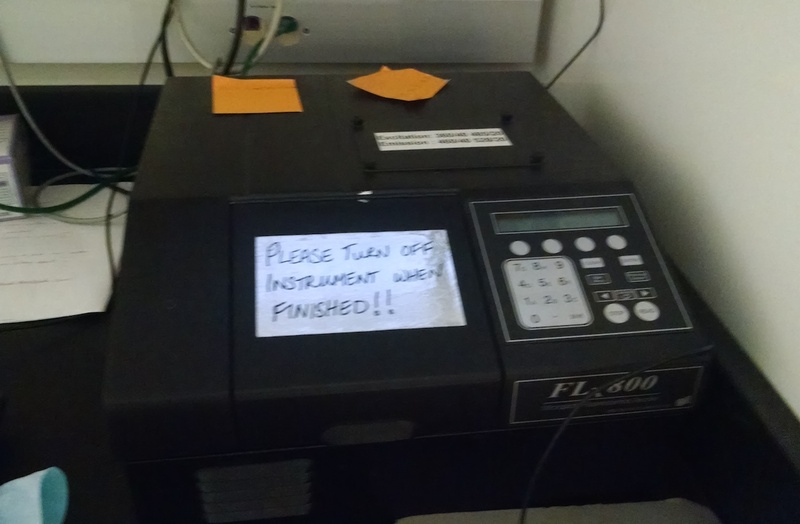 That’s why we had two primer plates for each PCR sample plates. This means we sequence each original plate twice, which translates into eight sequencing plates in total. Alas, I will have to wait to download them. I would normally spend today processing the data and doing analyses, and lose myself in the thrill of all of the cool stories the sequences will tell. However, I have promised myself that I will not do this until class on Tuesday – I want the students to be fully part of the process, and see the results the same time I do. For the next four days, I will need to remind myself that patience is a virtue. 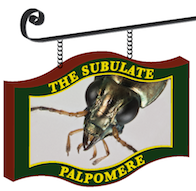 This entry was posted in Public Engagement & Citizen Science, Revising Bembidiina, Taxonomic Process, Z499 (Discovering Insect Species) and tagged Bembidion, DNA taxonomy, Trepanedoris. Bookmark the permalink. I am whittling away at finalizing a very short paper for the Bulletin of the Oregon Entomological Society on the carabid beetle species of Tatoosh Island, northwest Olympic Peninsula, Washington, which is little outpost of a barren island, that also just happens to be the western most reach of the lower 48 US states (and a very important US Coast Guard facility). This survey would not have been possible without the help of one on my mentors, Robert T. Paine. As all good ecologists know, R.T. Paine’s “keystone species concept” was first defined in the intertidal zone of Tatoosh Island. I have never been to Tatoosh, but when I was surveying small islands for carabids in the nearby San Juan & Gulf Archipelago I was able to get Pat Doak (now at University of Alaska Fairbanks) to set a bunch of pitfall traps on Tatoosh in 1988. Nine carabid species showed up in the pitfall and hand-collected samples, including Bembidion versicolor (18 specimens), and a very long series of B. (Trepanedoris) “connivens” (99 specimens). The identity of these Bembidion species was verified by Dave Kavanaugh in 1994. According to David Maddison these B. connivens may actually be B. (T.) elizabethae. Obviously there is a permanent wetland on Tatoosh, despite its small size; there are a number of other wetland indicator carabid species on this tiny island, including Pterostichus crenicollis. I am awaiting some digital terrestrial habitat photos from Tatoosh from Bob Paine before I submit the paper to BOES. Good aerial photos of Tatoosh are available at Google Earth. I have confirmed that all of the many Bembidion (Trepanedoris) “connivens” (=B. elizabethae?) I have in my collection from Tatoosh Island (Olympic Peninsula, WA) were pitfall trapped without any trap solution and then pickled in ethanol, so they may be suitable for DNA analysis. They were pointed probably at least 20 years ago, and are still in excellent condition in my office in Spokane. I assume your course “Discovering Insect Species” is over by now. I suppose I am not the only one who follows your blogs that is wondering what the results of this project are ….. we have not heard from you for almost six weeks now! Yes, James, I am well aware of this. And I will be writing more blog posts.